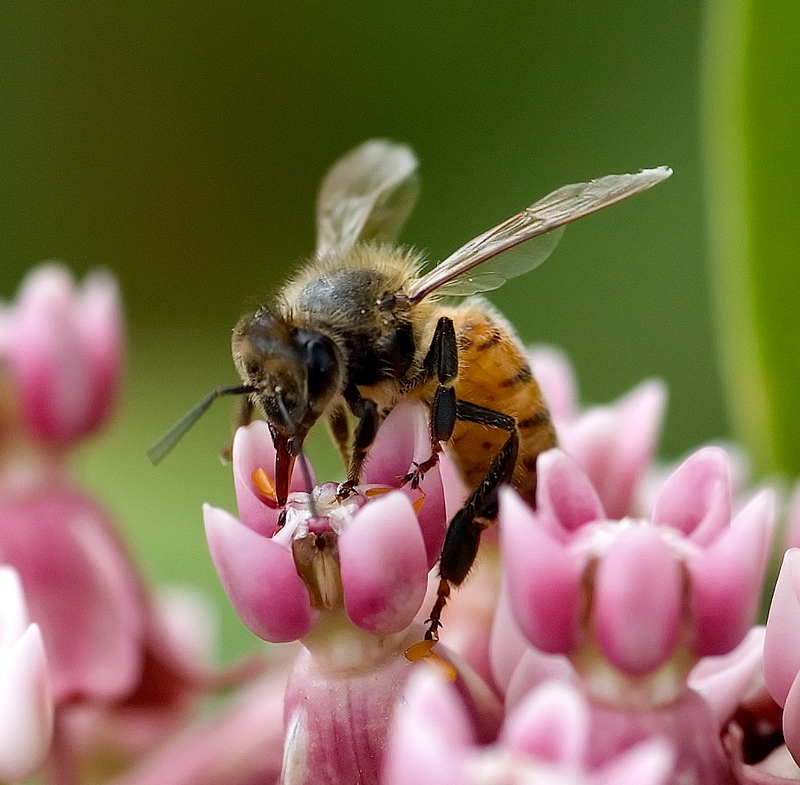 Honey bee on milkweed; bee pollination is essential to agriculture. Photo by JG D70s/Flickr (Use Permitted with Attribution/No Derivative Works). The honeybee pollinates many of West Virginia's most important crops (including fruits, vegetables and grasses), and is more beneficial to the state’s economy than any other insect. 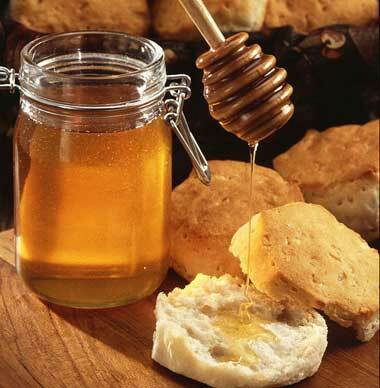 The honey bee is an official symbol of nineteen states (plus, Florida adopted Tupelo honey as a state symbol), primarily because honey bees play such an important role in agriculture. 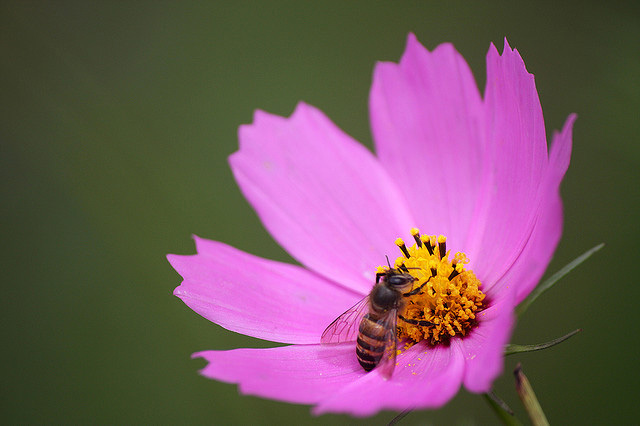 Honey bees live in hives of up to 80,000 individuals. A hive consists of one queen bee (who can live 8 years and lay over 1,500 eggs per day), a small group of male drones (on hand to fertilize a new queen on her nuptial flight, should one be produced), and the remaining vast majority of sterile female worker bees. Young worker bees are called house bees - they construct the hive and maintain the comb, care for the eggs and larvae, tend the queen and drones, regulate temperature, and defend the hive. Older workers are field bees - they gather nectar and forage for pollen, water and plant resins used in hive construction. Worker bees have an extra stomach and special pollen baskets on their hind legs to transport the booty. Empirical evidence suggests that the honeybee "dances" to communicate the location of a nectar discovery to other honey bees. 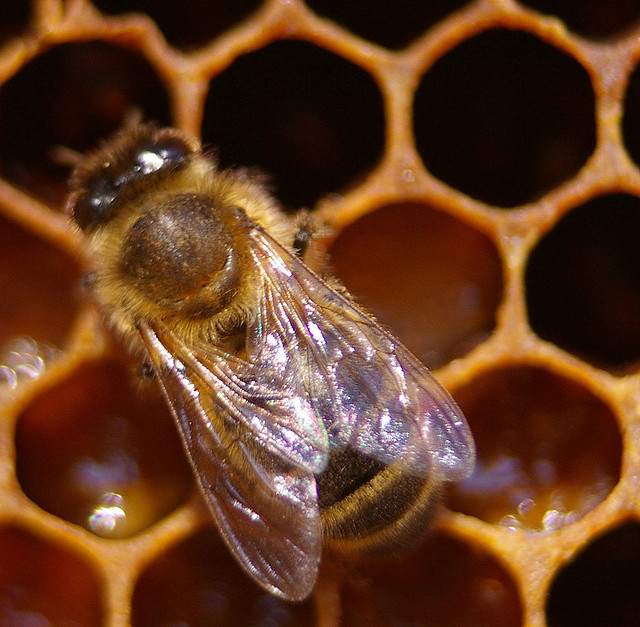 Worker bees only live about 6 weeks in summer months, but honey bees born in fall survive until the following spring. The first bees appear in the fossil record dating 40 million years ago and the honeybee has remained physically and socially unchanged for 30 million years. Probably originating in tropical Africa, they were brought to the New World with the first Spanish and English colonists, quickly escaping to the wild and eventually populating the entire western hemisphere. American Indians called the honey bee "white man's flies." 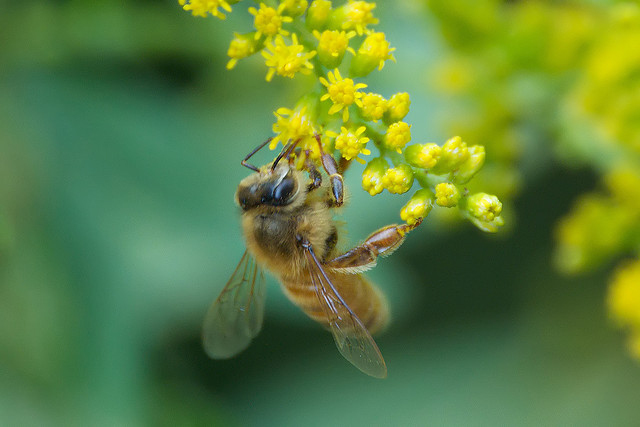 Honeybee on goldenrod; photo by Jim Webber on Flickr (noncommercial use permitted with attribution / share alike). 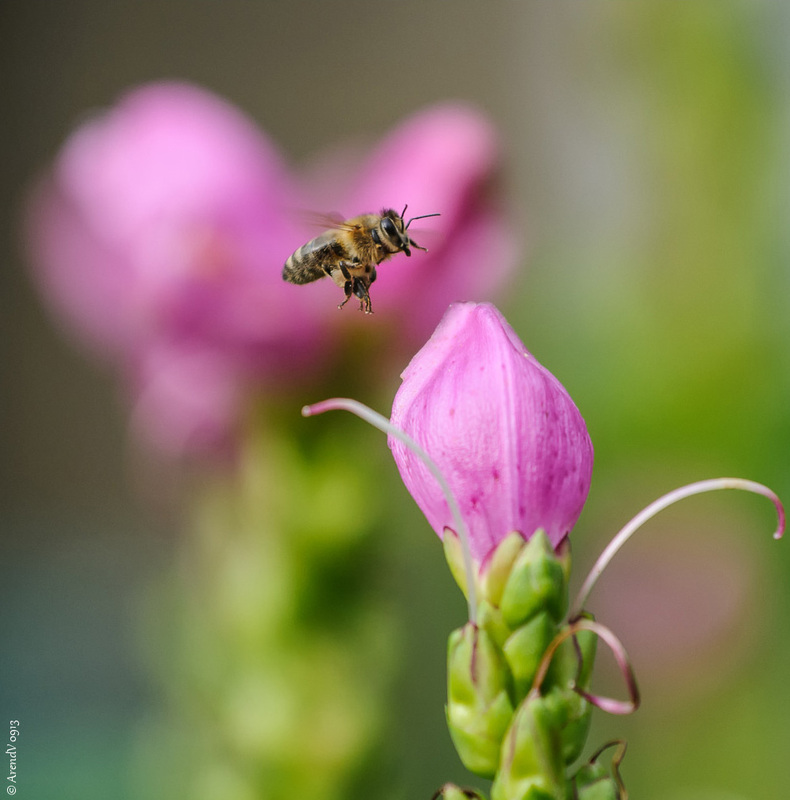 Honeybee in flight; photo by Arend on Flickr (use permitted with attribution).